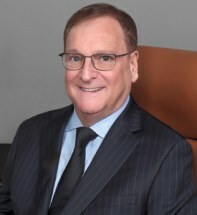 Principal of this 6 attorney law firm that concentrates its practice in all aspects of Civil Trial Practice and Appeals in all State and Federal Courts in the Northeastern Illinois geographical area with a focus on catastrophic bodily injury and death claims concentrating in the representation of clients in their nursing home neglect, motor vehicle negligence and premises liability claims. The firm also represents clients in their Workers Compensation Act claims and their commercial and residential real estate transactions and associated litigation. Co-Chair of the 2013 ISBA Civil Practice & Procedure Section Council's Allerton House Conference at Starved Rock State Lodge. (April 11-13, 2013) The topic was Adaptations of New Technologies to Civil Case Processes?. Guest panelist on the ISBA Cable Television Program that dealt with the topic area of automobile accident claims. This was filmed on August 21, 1997.